You have found the right premises, and are getting ready to move in. This section identifies the things you need to think about before you take up occupation, and the things you will need to do when you are in occupation. However, for most groups managing a community building is about much more than just the ‘basic’ management activities. You need to find ways of making your building ‘work harder.’ You need to find ways of increasing income and driving down costs, and to develop a communications strategy that reaches your target markets. These resources highlight the key questions, and provide answers through providing original material and links to other information and support. Which policies, procedures and systems do you need to have in place – e.g. health and safety policies, sustainability policies; licences and permissions, insurances, etc. How to keep these policies up to date. Do you need to do any alterations and improvements. If so, how to fund and project manage them. BuildingAssets offers expert services to ensure your organisation manages the activities involved in managing and using your premises efficiently and cost effectively. Please see Our services and you are invited to contact Janet Keighley on to discuss how we can work with you. We focus on helping you to identify and to make the most of the opportunities available, to overcome any obstacles and challenges, and to help you make your building contribute to your organisation’s sustainability. We also provide a range of resources on this website to support you with finding and taking on premises. Our resources, and many of the other resources are available free; some external resources have a relatively small charge. Letting and hiring out your property is likely to be essential to raise revenue and make collaborative arrangements with other organisations, and this guidance will alert you to the key legal issues to help you to be compliant with legal requirements. See also our guidance on Changing the occupation or use of your property if your plans are likely to involve changing the use of your premises. Setting Customer Service standards can help to ensure your organisation is getting the best results and show you how to keep improving. Customer care for front line staff provides information to assist employees in customer facing roles to learn new skills and techniques for dealing with the challenges of providing excellent customer service. Guides to defending & reducing public liability claims In case it does go wrong. A guide from Ecclesiastical Insurance supported by the Charity Finance Group. Please note: providing a link to a particular company’s website, or offering material which names particular companies does not mean we are recommending these companies – simply that we think they have produced some useful guidance. You are always advised to shop around. Health and Safety Guidance notes produced by the Ecclesiatical Insurance which, though targeted at churches, contain much helpful information for other community buildings, and useful risk assessment pro formas. 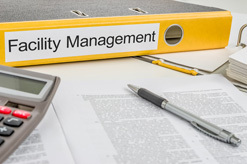 The Ethical Property Foundation has resources on Manage a building effectively. As well as dealing with all the legal, constitutional, financial and HR issues involved, people running community buildings understand the importance of staying in touch with the changing needs of local people.